Home » Blogging Tips » How to Measure SEO Success Rate? How to Measure SEO Success Rate? 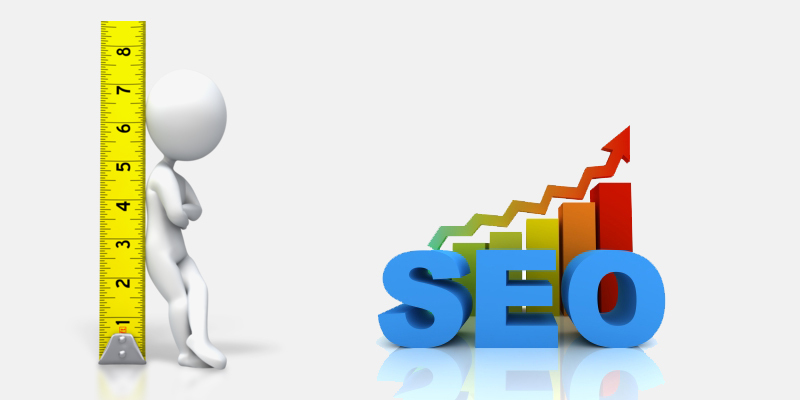 SEO (Search Engine Optimization) is what you do to get your website nearer the top of the search engine results pages. Ideally, you should be aiming for the top of the Google search engine results. You can measure your SEO success by how highly your website ranks on the search engines. You can do it on a page-by-page basis, or you can do it as a whole for the entirety of your website, though that may need a tool to show you how well your website is doing as a whole. If you want to see how well you are doing with regards to your ranking factors, then try AHREFS. This is a tool that spells out your ranking factors in an easy to understand way. Google say they have over 200 ranking factors, and even though AHREFS cannot measure them all, it can measure enough to give you an idea of how well you are doing. You can look for holes in your search engine optimization. You can see if you have enough backlinks and if you are missing parts of your on-page SEO that should ideally be present. AHREFS is better used for judging the value of your off-page ranking factors because it is very good at digging them out for you. They also allow you to try the tool for free before deciding to buy a subscription. This is a tool that you can use for free, and this gives you more of an overview of your entire progress. It is a little like a tool for checking your website vital statistics. It is often used when trying to sell websites because it also gives you an estimated worth for your website. In the introduction it said you can judge your website on a page-by-page basis. This is where you run a Google search on the main keywords for your web page. If your website appears within the first ten pages then you know you are doing something right and you need to keep pushing on. Obviously, you cannot do something such as this for every page of your website, which is why you would use a tool like URLM to measure your overall success. You can see how many people view your website, how many monthly visits you get, how much each visitor is worth, how much your website is theoretically worth, how many pages you have and how many backlinks you have. It also gives you a rank for the country the United Kingdom, and a worldwide rank. This is another free tool where you may enter your website domain name and it gives you a rundown of your entire website progress in the same way that URLM does. But, this tool concentrates more on ranks and it ranks you using its own system. It gives you a domain authority and a page authority. You also get to see your established links that are both root domain and your total amount. You may also see details that AHREFS gives you, but AHREFS goes in more detail. You can see the rank for each page in your website, so if you are worried about your SEO then you can start working on the pages that have the lowest rank. This tool is the middle ground between URLM and AHREFS, though in honestly it is worth using all three tools if you want to get a good overview of your SEO. Ideally, you should learn as much as you can about SEO and then do a manual audit, but this can take a lot of time if you have many pages. That may be why using the open site explorer tool is a good idea. You can look up the pages that have the lowest rank and audit them manually to see if they are lacking in keywords or Meta information. Do not bother if the pages are need meant to rank highly. For example, your about us pages or FAQ pages need not rank highly. Take a look at your anchor text with this tool, but it may give you a good idea as to what you are communicating to the search engines. They are going to use anchor text as a way of guessing what your website is all about. Does your anchor text give a clear enough idea of the meaning and use of your website. If not, then is there a way you can change that? For example, you could make your anchor text more varied and descriptive. Kiara is an experienced writer, who is passionate about different technology topics. Currently she writes for an essay writing service and technology blogs. Do share this post and make it useful to others. Thanks for sharing these nice tools to measure SEO.